On Wednesday night, the Bucks County Northampton Town Supervisors voted against studying a piece of land for its potential as a Circuit trail project. It was a big letdown for our county affiliate group, Bike Bucks County, and its leader, Ken Boyle. Over 1000 residents had signed letters and petitions in favor allowing the study to go forward and attended several public meetings to express their support. In the end, a small group of opponents swayed three out of five township supervisors. 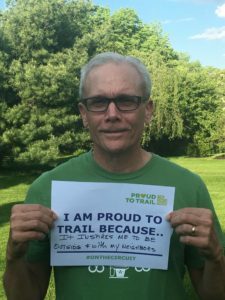 Ken recently reflect on the process of advocating for a new trail in Bucks County, fake information, and the fears that circulated throughout the past year, and where he plans to go from here, now that the land will not be studied. Oddly, the entire situation was defined by misinformation and worry over imaginary boogie men. Bike Bucks County had been pushing for a study to turn eight miles of abandoned train lines into a multi-use trail through Newtown Township, connecting it to other parts of Bucks County and creating a healthy alternative for Bucks County residents out for a recreational trip or commute. But immediately, as is often the case, rumors started circulating that, if the land was studied, homeowners along the trail would have to foot the bill, and that a “bad element” would begin showing up in families’ backyards to hurt people. From the beginning, the Bicycle Coalition and Bike Bucks County always realized that some people felt they were being negatively impacted by the trail — and that those people needed special information and attention. 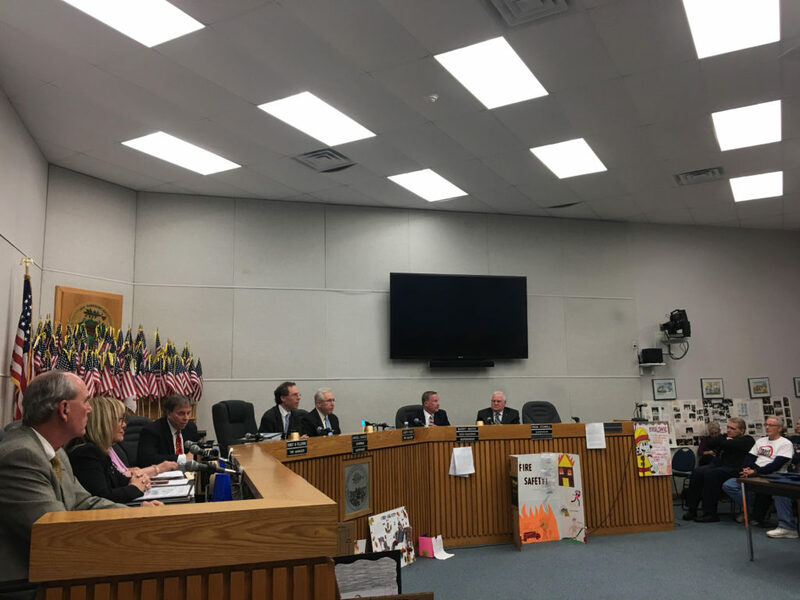 As reported extensively in the Bucks County Courier Times, there additionally seemed to have been a miscommunication between the Bucks County Commissioners and the Town Supervisors. In a letter Thursday, all three Bucks County commissioners rebutted claims by Northampton Township officials and some residents that county officials had not adequately answered their questions. The commissioners noted that the county had made several presentations to the township, and that they suggested Northampton supervisors confer with officials from communities that already have trail systems. “During their Dec. 14 meeting, three of the five Northampton Township supervisors chose to hide behind their own fabricated history of the rail trail discussions, blaming Bucks County officials for their own lack of leadership,” they said in the letter. Either way, after a strong effort from our county affiliate and another local organization, the Penn Tammany Greenway, Boyle said he’s learned while false information can get through during such a process, he has not given up hope. He goes on to thank the Township Supervisors Mr. Barry Moore and Dr. Kimberly Rose, who did vote in favor of going forward with a study. As is, the trail’s southern end in Southhampton is under design and moving forward toward construction. Lesson learned, get other independent bike groups behind you. Tap Cyndi Steiner, Executive Directoe of NJWB Coalition and others at the county level to back you up.